In the world of today, there are those that believe there is something more than the physical world; the paranormal one. But not everyone believes this, and a lot of sceptics exist regarding this. However, sceptics, from time to time get converted to believers, and this is just what happened to Zak Bagans, the host of the Travel Channel series Deadly Possessions which also features his Las Vegas Haunted Museum. What could have made Zak become a believer? We find out as we go on below. Zak is a paranormal investigator who was born on the 5th of April, 1977 in Washington, D.C. He is the son of Nancy Knapp, an interior designer; and brother to Meredith Bagans. The identity of his father is however unknown. He attended Glenbard West High School in Glen Ellyn, Illinois and graduated in 1995. Afterwards, he attended and graduated from the Motion Picture Institute in Michigan. Post-graduation saw him move to Las Vegas with the ambition to film documentaries, but before that happened he was a wedding disc jockey. Zak Bagans became a believer in the paranormal when he had an encounter with a suicidal woman’s spirit in his former Trenton, Michigan apartment building. From there, he shifted his focus into paranormal investigation. 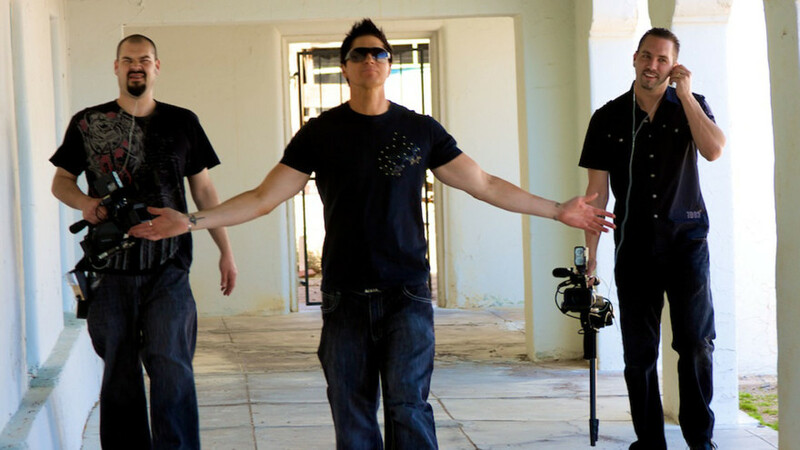 2004 became the year Zak started his paranormal investigations. He teamed up with Nick Groff and Aaron Goodwin and began production of the series Ghost Adventures. The series followed Zak and his team as they investigated places that were reportedly haunted. In the first episode, the team stayed the night in the allegedly haunted nightclub Bobby Mackey’s Music World. Bagans claimed that he received mysterious scratch marks on his back while he spent the night there. While the series aired, he came under fire from paranormal enthusiasts for his aggression and confrontational ways when handling spirits. Zak defended his methods by saying he only used aggression against spirits that were harming the living. The series ran for 14 seasons, concluding its final season in May 2017. 2011 had him as creator and host of the spin-off Paranormal Challenge, a series with a competitive edge. Paranormal Challenge had ghost hunters from around the US compete against each other as they gathered evidence by spending nights in allegedly haunted places in the US. The evidence gathered by the teams was judged by a panel of paranormal experts to determine the winner. The series ran for a season of 12 episodes. The same 2011 had Zak Bagans narrate and host the Travel Channel special Ultimate Travel: Legends of the Park. The show was about America’s National Parks and how they were haunted. His career as a paranormal investigator inspired him to become an author. He co-wrote Dark World: Into the Shadows with the Lead Investigator of the Ghost Adventures Crew with Kelly Crigger. It debuted at no. 18 on The New York Times Best Seller list on the 23rd of September, 2011. He has successfully published three more titles after that: Darkness Optional: The Holy Truth (2013), I Am Haunted (2014), and I Am Haunted: Living Life Through the Dead (2015). A lot of TV personalities tend to keep details of their personal affairs as minimal as possible. Zak Bagans is no different. Despite how popular he is, he lives a low key life, leaving fans to wonder about if he is in any kind of relationship or not. Way back in 2014, Zak shared a photo on Twitter announcing an engagement and tweeted a photo of his fiancée Ashley. There were no further details shared after the tweet and many have concluded that the announcement was a joke, seeing as he made it on the 1st of April, April Fool’s day. Zak dated Christine Dolce for a while, but the relationship ended before she passed away in 2017. There have been rumours about a relationship with a Marcy Delatorre, but she ended up being a fictional character created by fans. Currently, there are no indications that he is in a relationship or married, and Zak has denied rumours that he has a daughter. Zak Bagans has had an impressive TV career so far. He is the author of bestselling books, owns his own clothing line Reaper, has a haunted house in Indiana and The Haunted Museum in Las Vegas. Altogether, these things come together to give the man a net worth of $5 million, a very impressive figure indeed. Zak’s full name is Zachary Alexander Bagans. He is a tall man at 6 feet (183cm) with a weight of 176 lbs (80kg) He has an athletic body with brown hair and blue eyes. He’s also a fan of tattoos, having at least seven on his body. These include a Celtic cross on his left arm and an angel/demon one behind his neck.